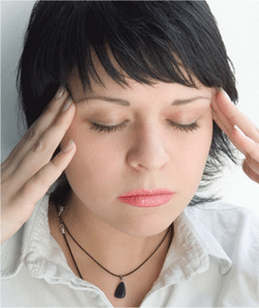 We can provide a solution to tension and migraine headaches without the use of drugs. This small miracle, called an NTI™ device, is placed in the mouth to relax the muscles of the scalp. This prevents most occurrences of headaches. During clinical testing, patients had a 77% reduction in migraines. This is an FDA-approved, effective alternative to medication. It works quickly, painlessly, and is very affordable. Please ask us about this device if you suffer from headaches. 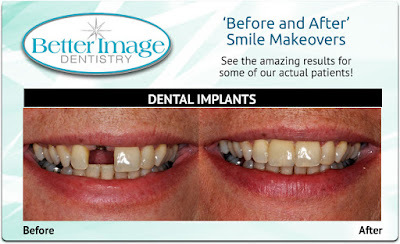 Take a look at these before and after images of our patient with a new dental implant! Take a look at these before and after images of our patient with dental veneers and after Invisalign teeth straightening treatment! We have also gone digital with our X-rays, making it less time consuming as images are available immediately. 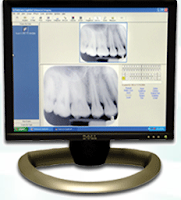 Digital technology reduces radiation exposure by 75 percent, and in addition to the lack of waiting time to develop X-rays, there are also no chemicals to pollute the environment. If you are diabetic and have problems controlling your blood sugar levels, it may be because you also have gum disease. Having gum disease and uncontrollable blood sugar is a predicament where one problem affects the other. Not all dentists are prepared to help dental patients with diabetes. Ours have received the necessary training for this specific care. We provide a free consultation for a diabetic's needs. 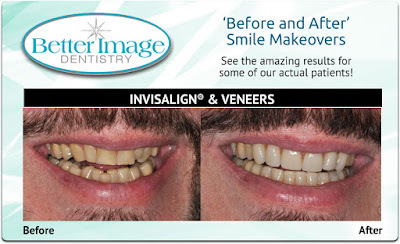 You never need to feel ashamed or embarrassed about the condition of your teeth. We are nonjudgmental and compassionate in helping you resolve this condition.